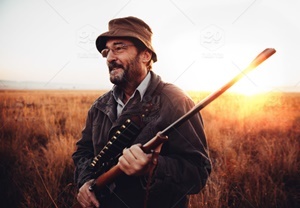 Many people complain that hunting at night is not possible and it would be difficult to find good locations to hunt. This is not essentially true because with the passion to hunt, you will get through quite well. 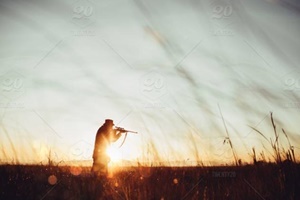 One of the things you need to get right is lighting and positioning yourself at the perfect place when hunting. You need to scout the location beforehand so you are able to know which areas to focus on at night. For more ideas for night time hunting, here are some tips that will help you while hunting. During the night, sound travels further than during the day, and wind around the night is usually calm, which allows you to have maximum sound projection. Coyotes are vocal during the night and you can locate them by howling and moving closer while playing distress sounds. You should especially stick to high pitched sounds during the night, and while howling amplify it more than during the day so as to receive responses and decide where the animals are. Coyotes have a habit of moving slower at night and will often go with the direction of the wind, so consider that when hunting. One of the best ways to hunt during the night is to use lights. Thermal lights are recommended nighttime predator lights because with such lights you are able to see animals that are yards away in the darkness. You can also use Night Vision lights, which are also nice, but you might need to use a high powered IR if you want to get a clear image. Night Vision is able to see through glass, which is something you cannot achieve with a Thermal light system. You need to roll down your windows to see if you are having a thermal light, so if you would prefer to keep your windows locked as you drive down you might find Night Vision lights a good choice. Light color also affects how well you are able to locate animals while hunting. White has shown to attract coyotes, bobcats, and foxes, so you might want to try it out. Also experiment with other colors like red and blue to find out which offers you the best results. Red is a bit traditional while green is more popular. You need to choose what works for you as every hunter has a unique style. It can be challenging to judge the distance right when hunting at night. You need to make the right estimates so you are sure when shooting you will not miss. You can work with your partner to come up with range estimates and get familiar with the terrain. More than 125 yards is sometimes too far and you could be operating within a wide error margin, so be sure you are near the animal before shooting. Hunting is fun, especially if you know how to do it. There are several things you need to look at that will help you boost your experience while hunting, and the choice of lights is one of them. Choose the best lights because this is what will help you to see animals, even those at the furthest spot. 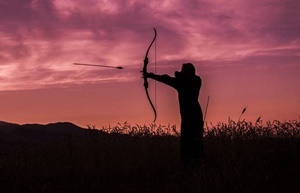 Also visit the region beforehand to familiarize, and if you are new to hunting you need to learn how to estimate distance when shooting at night.